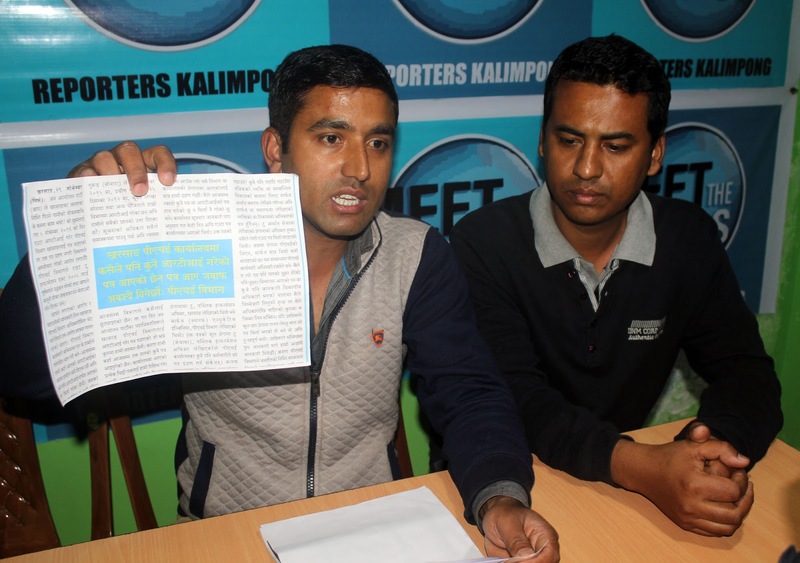 After JAP party alleged Kurseong PHE of returning back the RTI sent to Public Information Officer,Dept of PHE Kurseong Division, and yesterday Kurseong PHE Executive Engineer NK Sharma said that Dept has not received any Letter from the Party. The JAP Youth wing today said Letter addressed to Public Information Officer c/o Executive Engineer, Dept of PHE,Kurseong Division MV Road Kurseong 734203 Dist Darjeeling came back via Post office. Meanwhile,NK Sharma has said we have replied every RTI received till now. Meanwhile, office sources which was quoted and printed in a Local Daily have said that a letter came to the office which was addressed to the Public Information Officer after which the letter was not received as it was addressed to PIO as no such post or department is in Kurseong.Meanwhile when asked to N K Sharma he said no such information has come to him but he assured that if again the RTI comes the department will reply it. 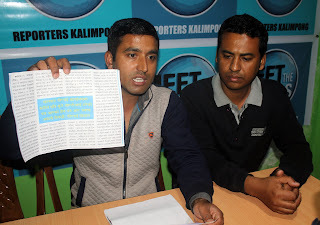 Today JAP Youth Secretary Amir Basnet addressing a press meet said the letter was sent obeying the Rules of RTI Act which state that in every department a PIO is to be appointed failing which the department top official will act as PIO. He said It’s a not a question of PIO of Kurseong, we are talking about PIO of PHE Department. We want what work has done to be curb the water problems of Kurseong. Amir Basnet suggested the department to read the RTI act and soon appointed a PIO. Meanwhile JAP has raised question in the working of GTA one and only District Hospital where a pregnant women died yesterday.What have the GTA Health Department has done in last 4 and half year? 0 Respones to "JAP-PHE rift over RTI continues"